It’s simple: The Franklin Reporter & Advocate will provide the residents of Franklin Township with the most in-depth, wide-ranging coverage of their home town, period. The FR&A is the only independent, local, online news site covering the eight villages of Franklin Township. Our responsibility is to our readers – our neighbors – not some out-of-town corporate bosses. We take that responsibility seriously; if it ever appears as though we are falling short of our promise, please let us know. Why Are You Asking Me To Pay? Gathering and writing the news that is important to all of us as Franklin Township residents is not inexpensive, and it certainly is not free. We offer our subscribers more news about their hometown than does any of our competition, at a far, far more reasonable rate. By showing your support through purchasing a subscription, you’re showing that local, home-grown journalism matters to you. Also, subscriptions enable us to present to potential advertisers a solid block of loyal readers who also want to support Franklin Township business. It’s that combination of advertisers and subscribers that we believe will make the Franklin Reporter & Advocate another viable township business. There is some content on the Franklin Reporter & Advocate that is free; this includes the About, Contact Us, Eight Villages, Community Links, Gasoline Prices, NJ511 Traffic Map, Classifieds, Obituaries and Pet Adoption sections. 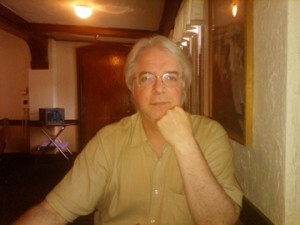 I’m Bill Bowman, the publisher and editor of the Franklin Reporter & Advocate. I’ve spent most of the last 30 years as a reporter or editor for weekly and daily newspapers, newsletters and magazines. My work has been acknowledged with awards on the corporate, state and national levels, and my reporting has led to the creation of a $7.5 million program giving thermal imaging cameras to every fire department and fire academy in New Jersey, a Web-based database to check the violation records of nursing home and adult day care center owners in the Garden State, and the massive under-reporting of costs associated with the closing of Fort Monmouth, Monmouth County, among other highlights. Most importantly, I’m a 29-year Franklin Township resident who believes it’s high time the township had a truly local online news source. My vision of the Franklin Reporter & Advocate is to present news and information that matters to everyone in Franklin’s eight villages. My promise to you is to be fair and accurate in my reporting. There will also be times when I’ll feel strongly enough about something to push for some sort of action from relevant people; that’s where the “Advocate” comes in. I’ve had pretty good success with that in the past, and I look forward to more good results here in Franklin. Personally, my wife and I share our home with our two puppies, Mu Shi and Kai Shen. When I’m not working, I enjoy the martial arts and cycling. In fact, I use long-distance bicycle rides to raise money for my favorite charity, the Fisher House Foundation. Any personal information you give us privately – email or physical addresses, phone numbers, etc. – will not be shared with or sold to anyone, ever. Civil discussions on important issues are vital to any community, so we welcome comments on stories. Experience shows that anonymous comments can lead to mischief and headaches, so we require commenters to register through Facebook. We reserve the right to remove comments that may be libelous, defamatory or exhibit hate speech. We will correct errors immediately; please report what you think may be an error to editor@franklinreporter.com. We will not remove stories, and we have no control over how stories are indexed on search engines such as Google. We welcome press releases and other information from residents of and groups located in Franklin Township, or about events happening in the township, or happening in the immediate Somerset County region that may be of interest to township residents. Please understand that those selected for publication probably will be edited for clarity. Send your releases to editor@franklinreporter.com. Our subscriptions are handled by TinyPass.com. For any issues or questions, please contact go to their Web site, and, after logging into your account with your subscription information, click on the subscriptions tab. On the far right side of your subscription bar, you’ll find an icon to manage your subscription. We’re a Franklin Township-centric publication, so our first preference is for advertisers who either live in the township, or whose business is located in the township. We do, however, welcome advertisers from outside of township boundaries. Duration: We run advertisements for terms of six and 12 months; we are amenable to alterations based on special circumstances. Please realize that ads run for too short a period of time will usually not have satisfactory results. All ads renew automatically, unless written notice is given at least two weeks prior to end date. Payment: Payment for full terms is due upon signing of the contract, unless other terms have been negotiated. Suitability: The Franklin Reporter & Advocate LLC reserves the right to reject any advertising or advertiser that it deems unsuitable. We hold ourselves to a high degree of ethical conduct and expect that our advertisers will do the same. We do not accept political advertising we deem as being negative in tone, or which contains misstatements or inaccurate information. It is also necessary for us as a news organization to avoid even the appearance of a conflict of interest, or the potential perception among readers that something we write may be positively or negatively influenced by an advertiser’s actions. Therefore, we reserve the right to not accept advertising from an individual or company that has been indicted for, convicted of or pled guilty to a civil or criminal or consumer fraud offense involving a court appearance at any level of the judiciary system. Huge thanks to the following people for supporting us during our crowdfunding campaign. We truly appreciate your votes of confidence.